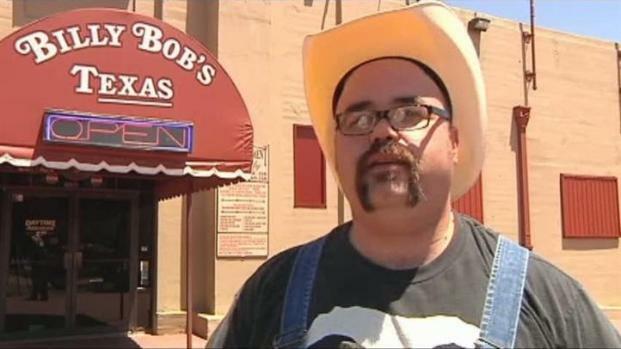 Billy Bob's Drive to benefit tornado victims in Joplin, Mo. Texas musicians camped out in front of Billy Bob's in Fort Worth on Thursday to help those who lost everything in the massive tornado in Joplin, Mo. Before the donation drive even officially got under way, donations from people such as Dan Beutler were being delivered. "It's a horrific thing to go through, and the people up there need everything they can to rebuild their lives and get their lives back in order again," he said. "And Jackson Taylor brought it to my attention, what he was putting together, and I think it's a great cause." Jackson Taylor, of Jackson Taylor and the Sinners, wasn't able to get to Fort Worth from Denver because of flight issues, but his bandmates set their instruments aside in favor of picking up water and supplies dropped off by other bands and even the Paradise Fire Department. Some Texas musicians are meeting up at Billy Bob's in Fort Worth to donate their time for tornado victims in Joplin, Mo. Two firefighters arrived with a truckload of water, food and hygiene products. The musicians decided to hold the drive because the devastation in Joplin hits home. "Some of our crew is up there. They got hit pretty hard, wiped out, so we're going to turn this into kind of a fun food-drive-slash-convoy, I think," said Dan Johnson, the band's steel guitar player. The goal is to have the trailer completely full by the end of the night -- an ambitious one, considering they came up with the idea just two days ago. "We thought this was the least we could do for all the years of support of coming out to our shows," Johnson said, referring to the band's fans. The band will also be playing benefit concerts in Missouri and Oklahoma beginning Friday night. And thanks to donations such as Beutler's, the people of Joplin can start to rebuild. "I've been there myself. Anytime I can help out, I will," Beutler said. The band will be in front of Billy Bob's collecting supplies until midnight. Those who donate can get free tickets to a future performance.